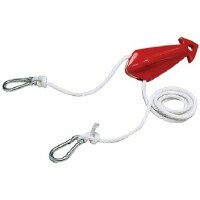 75' ski line w/handle Length: 75'..
Aluminum tema single handle Length: 75'..
PT-6: Designed for deck and pontoon boats. 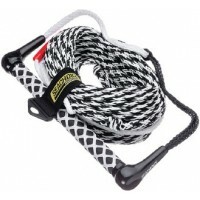 Centers the rope behind the boat for a more consistent pu..
Dlx 2 section ski line Riders: 1Length: 75'..
Promo wakeboard rope Length: 75'..
Kneeboard rope w/extra handle Length: 75'..
4 section wakeboard rope Length: 75'..
An 8" adjustable cable tow harness for that extra length. Features a pulley for efficient skier towi..
Great for keeping ski ropes, extension cords and hoses organized and ready to use. Pack: 3..
Molded nylon. 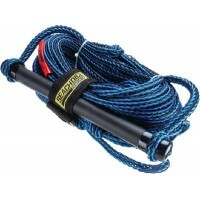 Provides a fast and easy way to attach ski rope to a ski tow. Pkg. : BulkRating: 900 lb..
Molded nylon. 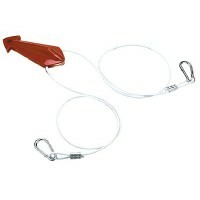 Provides a fast and easy way to attach ski rope to a ski tow. Pkg. 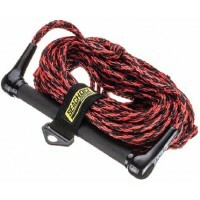 : CardRating: 900 lb..
4 section ski rope-75 feet Tensile Strength: 2, 050 lbs.Sections: 4 Color Coded(5', 40', 10', 10', 1..
5 sec wakeboard rope w/trick Tensile Strength: 2, 050 lbs.Sections: 5 Color Coded(5', 55', 5', 5', 5..
Competition ski rope asrt col Length': 75Tensile Strength: 2, 050 lbs.Sections: 1..
Deluxe ski rope-assrt colors Length': 75Tensile Strength: 2, 050 lbs.Sections: 1.. 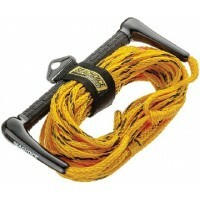 Tournament ski rope-assrtd co Length': 75Tensile Strength: 2, 050 lbs.Sections: 1..
8' or 12' usable rope tow harness. Helps improve towing and boat control. 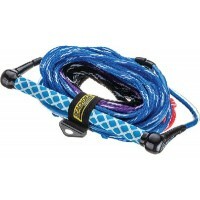 High impact plastic float ..
8' usable cable length. Unique design molded high impact plastic float/pulley. 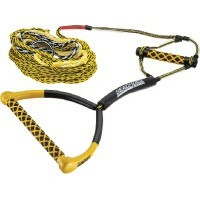 Allows easy attachmen..
1 section ski rope-75 feet Tensile Strength: 2, 050 lbs.Sections: 1Length: 75..